What a beautiful world 样式上变成”W hata beautifu lw orld”,难道是是fontsize的原因? 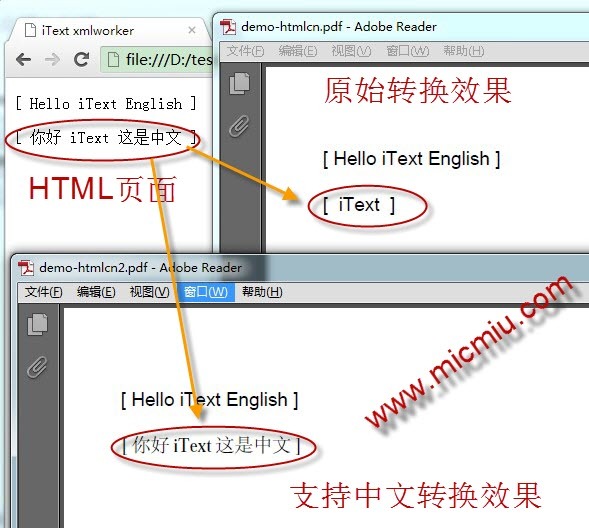 我三个jar：itext-asian-5.1.1.jar itextpdf-5.1.2.jar xmlworker-1.2.1-micmiu.jar ，和你一样的代码，报 java.io.IOException: The document has no pages. i found that some tags can’t be shown. e.g. i have tried, but all style removed.